DONETSK. March 19 (Interfax) – Thirty-five railroad bridges have been blown up in the hostilities in the self-proclaimed Donetsk People’s Republic (DPR). “Ukraine continues to wage a railroad war on the DPR. The Yasynuvata-Skotovata railroad is the only stretch connecting the DPR to Ukraine. It has been bombed over 30 times,” DPR Transport Minister Semyon Kuzmenko told reporters on Thursday. “Thirty-five rail bridges have been blown up by now and we are unable to rebuild them,” the minister said. He also said that the Ukrainian Security Service was blocking food supply to Donetsk. 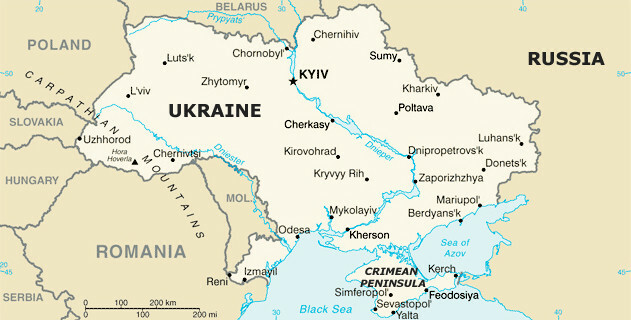 Krasnyi Lyman-Slovyansk-Kostiantynivka stretches are controlled by the Ukrainian Security Service. Any consumer goods or essential items are immediately blocked, Kuzmenko said. There is no passenger traffic from Ukraine to the DPR, and cargo traffic is limited. “We will be able to resume rail traffic via Debaltseve by weekend. Besides, rail traffic will resume on the Yasynuvata-Debaltseve-Luhansk stretch,” Kuzmenko said.